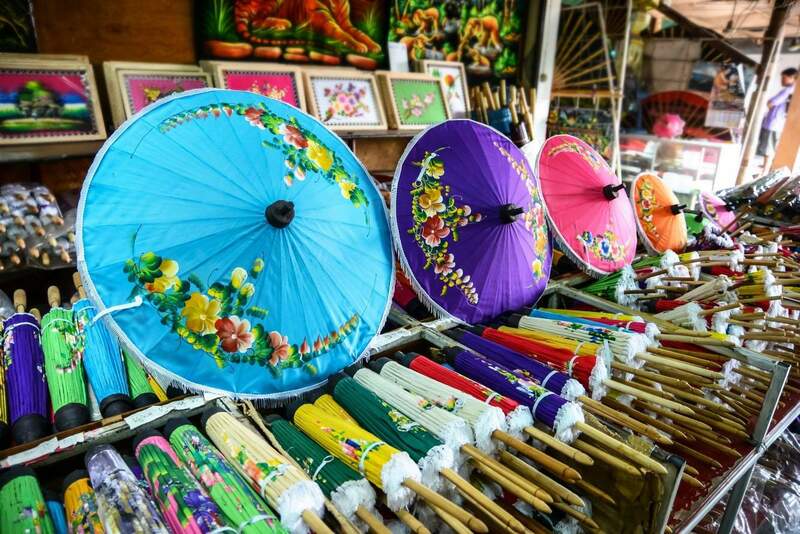 Bo Sang Umbrella & Sankampang Handicrafts Festival is a 3-day festival celebrated on the third weekend in January each year to honour the efforts of local artisans. 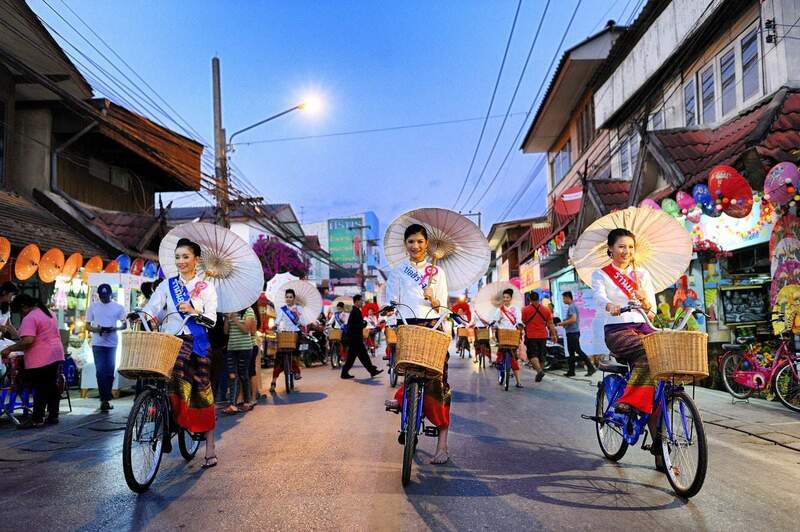 Bo Sang may not be one of the first towns that come to mind when talking about tourism in Northern Thailand but it sure is home to one of the most spectacular and colourful festivals across the world. 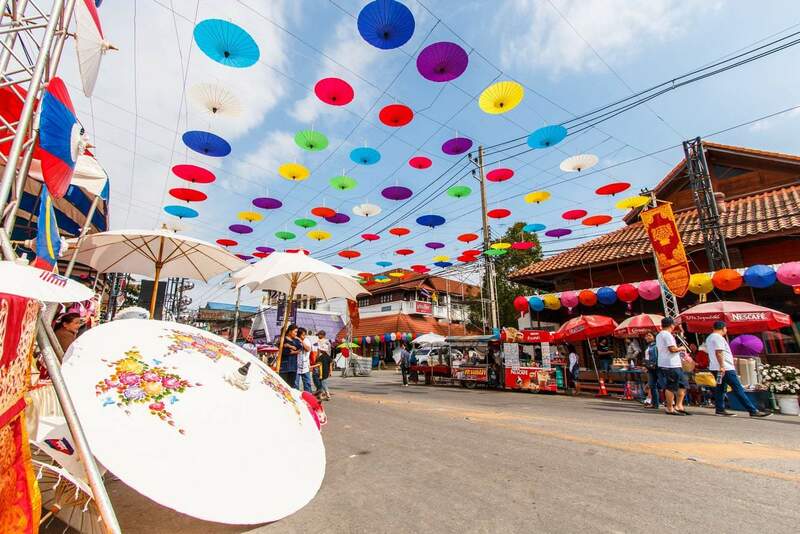 Just as the name suggests, the festival is all about art and umbrellas! 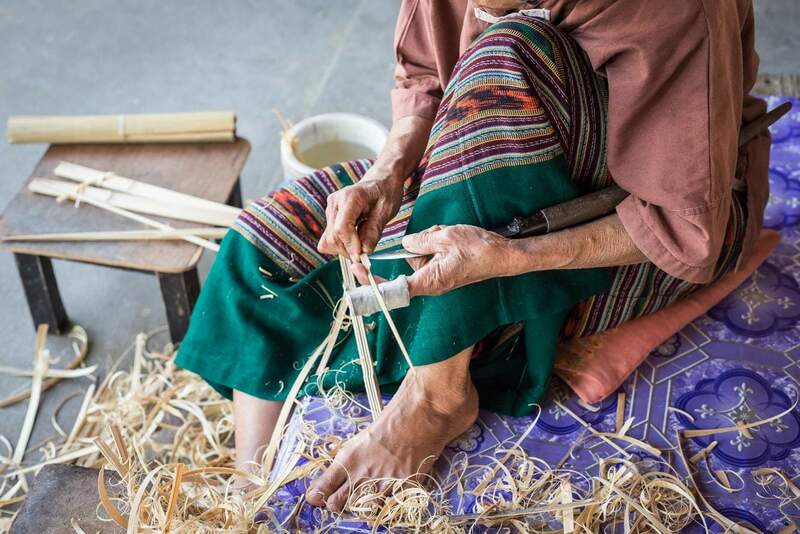 The handicrafts made by the local craftspeople will blow your mind away with the sheer creativity infused with boldness to create intricate, yet delightful pieces. 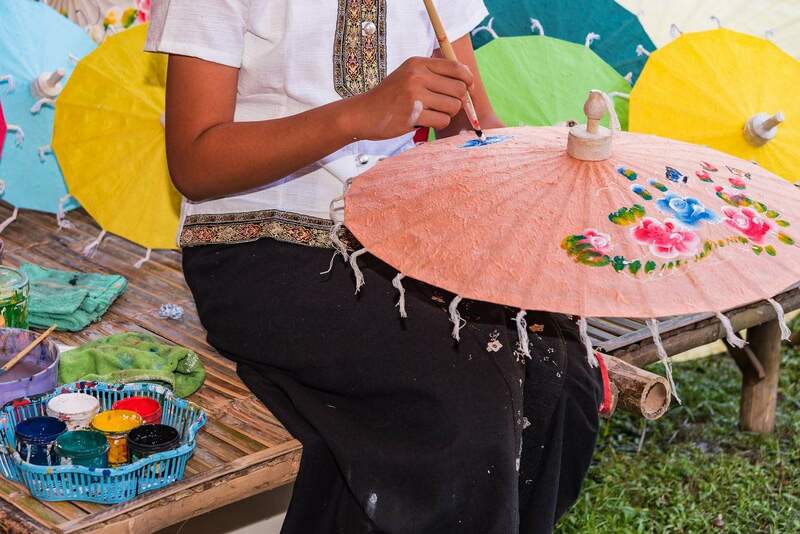 Bo Sang is home to skilled craftspeople whose products range from fantastic fans to colourful lanterns and parasols. 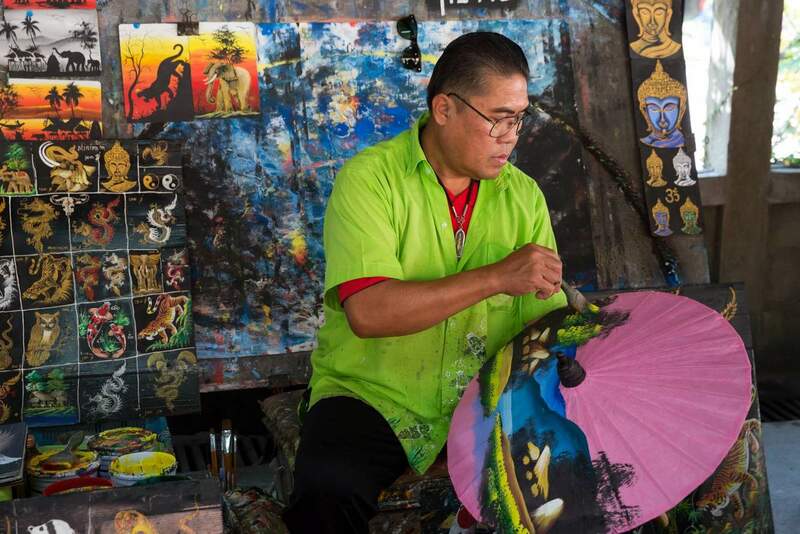 Look out for the magnificent umbrellas designed mulberry bark paper which is then hand painted, this is Bo Sang’s trademark style. Other materials used for these works of art include silk and cotton. Come to the festival in the afternoon. 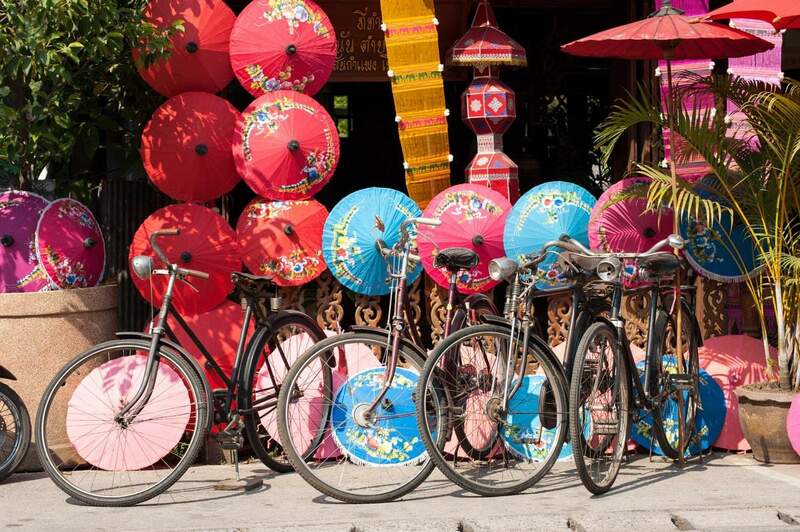 This way, you can enjoy the amazing artwork in the light of day, and then stay for the illuminated umbrellas at night. 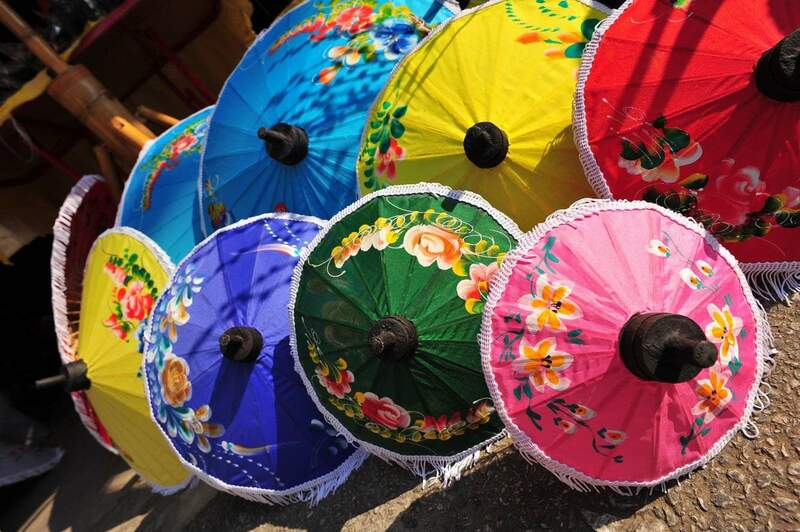 Many of the umbrellas are lit up like lanterns showing a completely different side to these works of art. 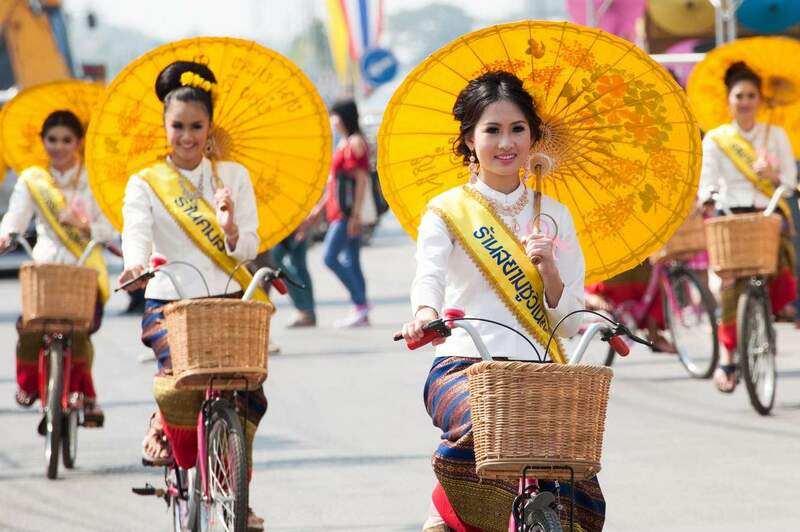 Every January Bo Sang Umbrella & Sankampang Handicrafts Festival makes Chiang Mai come alive! 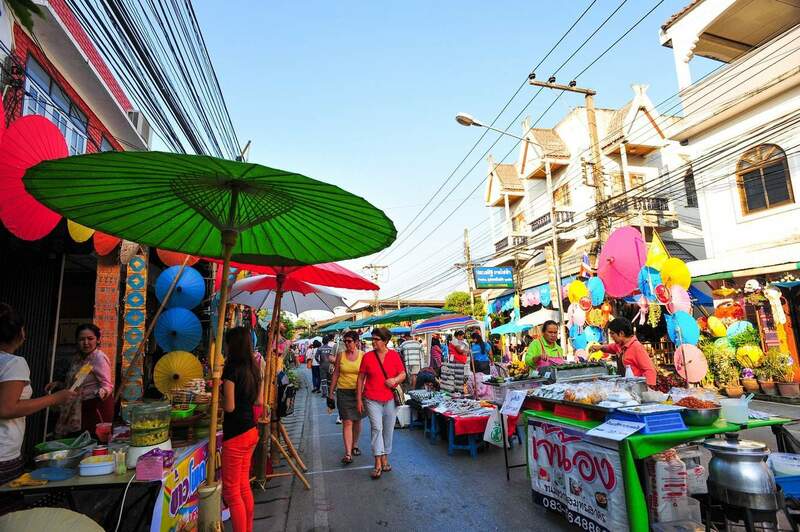 Held in Bo Sang, just 8kms south-east of Chiang Mai. When do the parades happen please? Are they at specific times, on specific days? I don’t want to miss them. 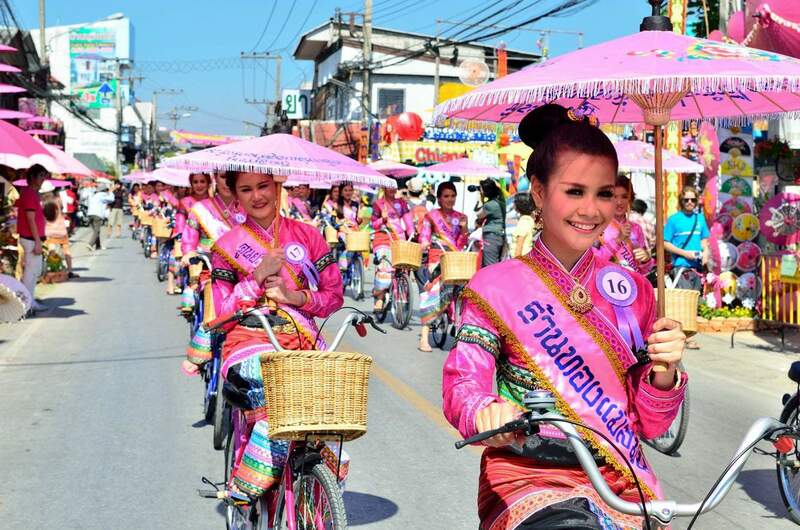 Thai people don’t typically publish a schedule for events, so you just need to head to San Kamphaeng in the morning and follow the crowds. The last time I was at the Bo Sang Umbrella festival, the parade was held in the evening, so not sure if its the same for this year. I would ask the locals for some guidance or a hotel concierge, who may have more up to date information about specific times.